ELLA, SRI LANKA - MARCH 2014: Religious group sitting on rocks at Ravana waterfalls. 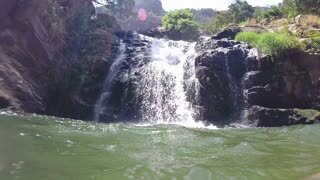 Slow motion of beautiful waterfall in Ella, Sri Lanka. 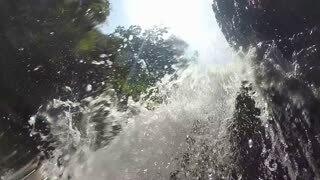 Slow motion of waterfall filmed from the river in Ella, Sri Lanka. 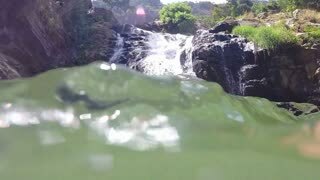 Waterfall recorded from the river in Ella, Sri Lanka. ELLA, SRI LANKA - MARCH 2014: Train at station with people standing at doorway in Ella, Sri Lanka. ELLA, SRI LANKA - MARCH 2014: Portrait of local woman on a land in Ella. Ella is a beautiful small sleepy town on the southern edge of Sri Lanka's Hill Country. ELLA, SRI LANKA - MARCH 2014: Local man working on a land in Ella. Ella is a beautiful small sleepy town on the southern edge of Sri Lanka's Hill Country.